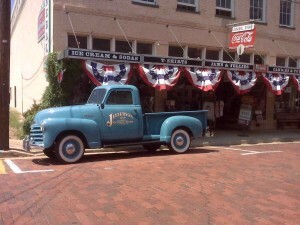 Today we took a little break and went to the downtown area of Jefferson. It’s hot and sticky so we thought what better way to get out of the heat than to visit the Jefferson General Store for a treat. We walked in and the place was bustling with patrons who I can only assume had the same idea as we did. Check out what’s new and sit down to an old fashioned Soda Fountain goodie. 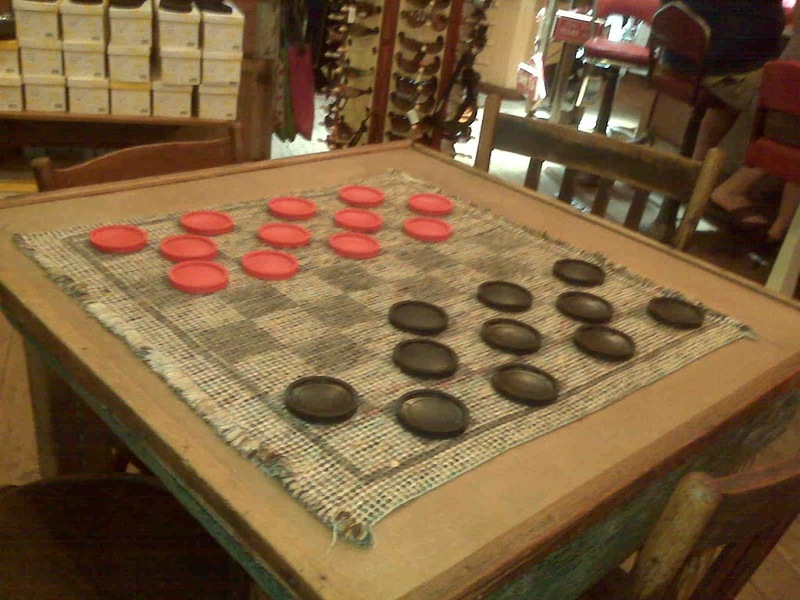 Heck you can even play a game of checkers while you’re waiting. 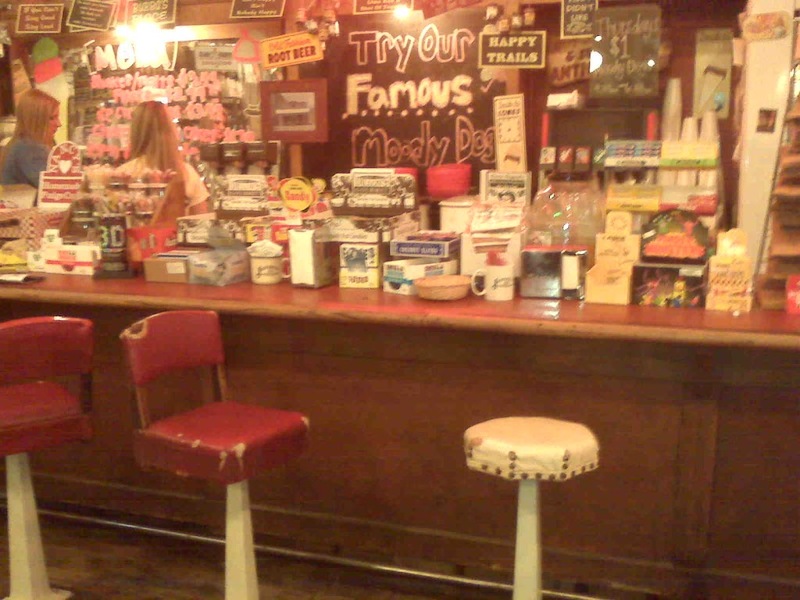 We sat down on the cool old stools at the counter, David ordered a chocolate shake and I had a cherry coke. 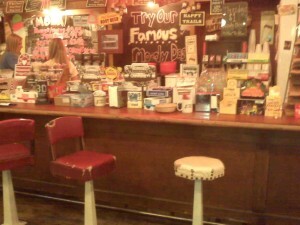 While we were there we did some looking around and I as usual gravitated to the corner with the purses and cowboy hats. I love the brightly colored purses with all the rhinestones and metal insignias on them. Bling-Bling! I did feel the need to look over a few of the cookbooks too; another of my weaknesses. I had already bought one at one of the antique shops so I didn’t need another just then but boy oh boy do they have some great ones to drool over. When you come to Jefferson Texas make a stop at the Jefferson General Store you won’t regret it they have something for everyone. Don’t forget to look up when you’re leaving this sign is above the door, it’s a hoot! 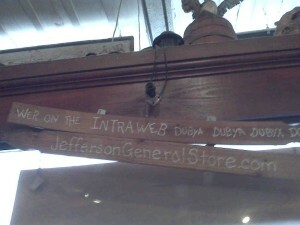 This entry was posted in Local Shops by Tammy D. Bookmark the permalink.